I’ve been one busy girl these days. In addition to working on my book project, I have art appearing in a couple of magazines this winter. Watch my video to see my art on the cover of Zen Doodle Workshop Magazine. 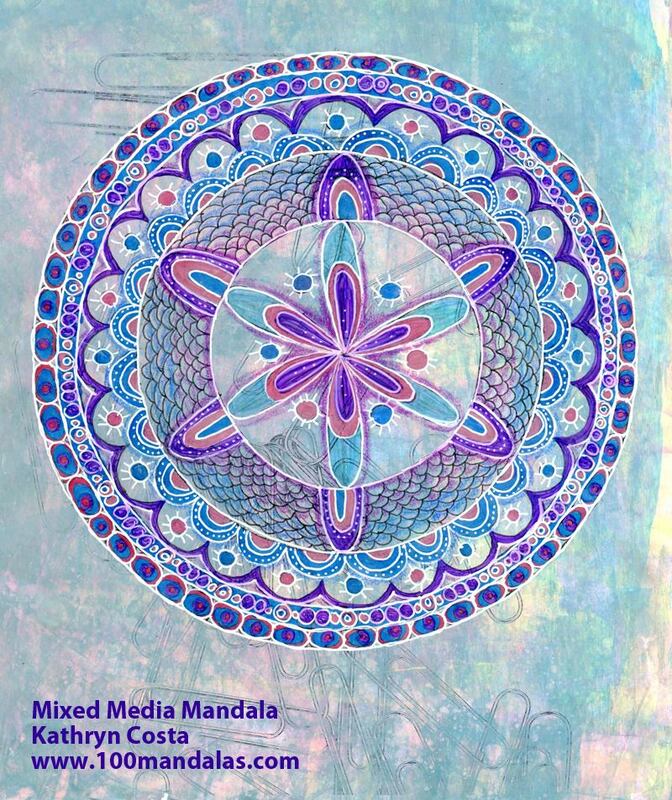 My article inside shows you how I combine my three passions: mandala art, mixed media, and zen doodling. I have a copy of this issue to give away! If you are new to my site, your entry will add you to my weekly e-mail newsletter list. You may unsubscribe any time after the drawing. I will randomly select a winner and you’ll receive an e-mail announcing the winner. Can’t Wait? Order Your Copy Now. Join me for a webinar where I’ll talk about how I bring together three of my passions: mandalas + mixed media + zen doodling. I’ll share with you my process for creating mixed media mandalas. The webinar is illustrated with images from my new book coming out this spring with North Light Books. This will be a live session and an opportunity for Q&A.